William Hoy loved baseball. Growing up in the 1860s and '70s, he dreamed of one day playing in the major leagues. A far-off fantasy for many boys, fulfilling this dream was even more of a long shot for William, who was deaf. Striving to find his place in a hearing world, Hoy became a shoemaker. He took pride in his work, but baseball was still his real love. When an amateur team coach saw him playing behind the shoemaker's shop, Hoy dazzled the coach with his hard-hitting skills. 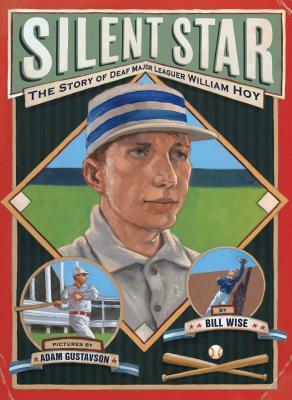 Moving from amateur clubs to the minor leagues and eventually to the majors, Hoy proved himself again and again--overcoming obstacles and becoming a star both on and off the baseball diamond.